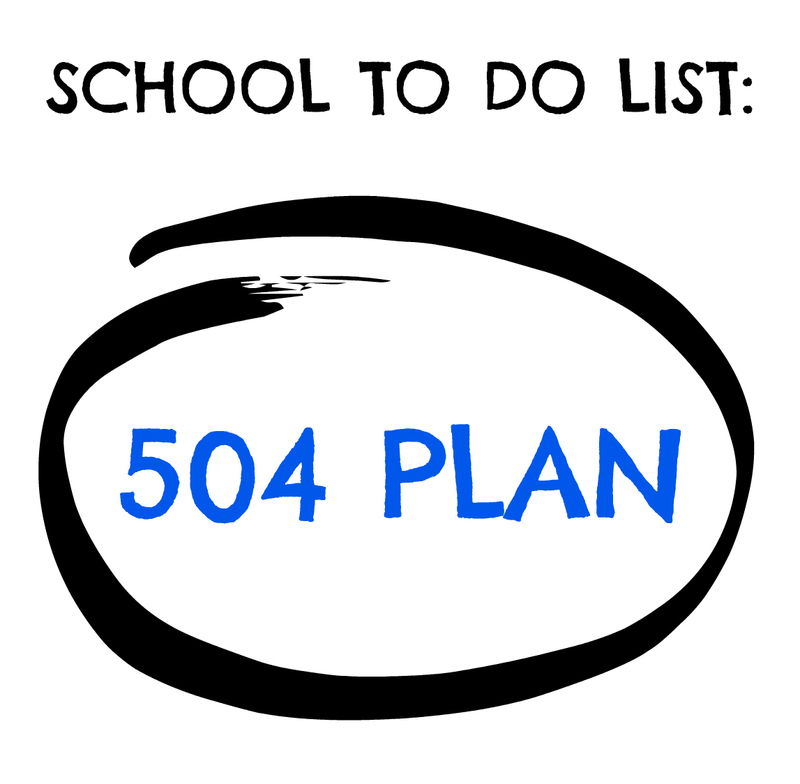 At the beginning of each school year, I meet with Jack's teacher and school counselor/504 coordinator to put into place a 504 plan for the school year (Contact your school, search website for 504 Coordinator). As parents, it's our responsibility to educate our children's teachers and caregivers about celiac disease and the importance of our children avoiding gluten. 1) My son isn't avoiding gluten just "because"
4) Which can affect his academics if he has to miss school. Every child is different, every teacher and school is different. It's really what you feel most comfortable with and what you feel needs to be put in place to ensure your child is safe from gluten while at school. A 504 plan is designed under law, to ensure that any child with a disability or chronic condition has accommodations put into place in order to achieve academic success and access to the learning environment. (A link is provided at the end of this blog post to explain more on ). Jack's entering 3rd grade in few weeks and it's that time of year, where this momma gets everything gluten-free ready in preparation for a great school year. At school registration in a couple of weeks, I will find out who Jack's teacher will be and from that point, I will make every effort to make sure his teacher understands his gluten-free lifestyle and the importance of avoiding gluten at all costs. The letter below is an opportunity to inform Jack's teacher(s) about celiac disease, avoiding gluten and requests to make accommodating his gluten-free lifestyle easier for everyone. **NOTE: This is a letter that I created. The information in the letter is what I feel is important to address pertaining to Jack's life. Every child is different, every school is different and every teacher-parent-child relationship is different. Please do what is best for you child and add more information or less. This letter is to inform you that our son Jack has celiac disease. Celiac disease is an autoimmune disorder that when gluten is ingested, it wrecks havoc on his body. For the past 7 years, Jack has been living a gluten-free lifestyle. Gluten-free living for celiacs, is like insulin for diabetics. It’s what keeps Jack healthy. Gluten is a protein found in wheat, rye and barley. Gluten is found in a wide variety of foods - from cookies, breads, pastas, cereals, candy, snack foods and more. 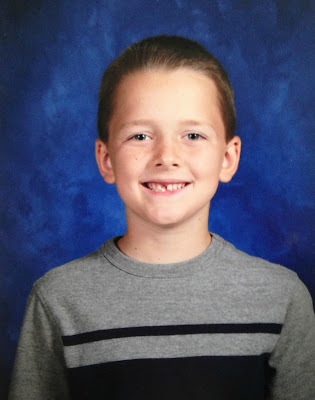 Because celiac disease is not an allergy, Jack WILL NOT be in immediate danger, BUT if he ingests gluten due to cross contamination or accidentally eats something that contains gluten, he will likely experience stomach discomfort/pain, as well as fatigue, diarrhea and headache. With Jack only being 9 yrs. old, we are still learning the signs and symptoms of accidental gluten exposure. We just need to make sure that Jack avoids gluten at all costs. First, Cross Contamination - From gluten crumbs, to art supplies/crafts, and Playdoh (which contains wheat) - it is important to be aware of Jack's surroundings and work surface. For Playdoh, I would like to provide some Crayola Model Magic which is gluten-free and some of his own tools/cutters to keep separate from the others. With cross contamination, please be aware of wheat products in the classroom and I encourage a lot of hand washing! (Last year, Jack would come home from school with filthy hands). Not in letter but note for parents: Playdoh is not a concern for me now, as Jack is older. This is more for the younger kiddos (pre-school/Kindergarten). I would allow Jack to play with it as gluten doesn't affect his skin and it cannot go through his skin. But, I do ask that he washes his hands thoroughly afterwards - he is old enough to understand the importance of washing his hands very well. Restroom Breaks - Jack needs to be excused to use the restroom on a “as needed” basis. Jack may have an urgency to go and when he says he needs to go, he needs to be excused...no holding it, when it comes to celiac disease. And sometimes, he may be in the restroom a little longer than most - that’s just how Jack’s system works. Birthdays - Please let me know how you plan to celebrate birthdays - whether once a month or if children will be allowed to bring in cupcakes on their birthdays. This will allow me to prepare accordingly and have something for Jack on the days that special treats are brought in. If children are allowed to bring in treats on their actual birthday, could you please provide a list of birthdays for me? Special celebrations - Halloween, Thanksgiving, Christmas, Easter, pizza parties, etc. - let’s make sure to communicate - I’ll always provide something for Jack. I also like to make gluten- free cookies and cupcakes for the whole class when it comes to celebrations. Field Trips - Please provide information in advance of any field trips: What activities will be taking place (crafts, etc.) and if special treats will be had, so I can provide something gluten-free if needed. I hope this letter helps you on your way to great school year. For more information on 504 plans, visit celiac.org for detailed information. Here's to a great GLUTEN-FREE school year! My planner was wonderful! From the moment we hired her for event management, she went so above and beyond our expectations! She's responsive and very helpful and I know that any wedding with her will go off without a hitch.